Browse » Home » K.K. Handique Govt. Sanskrit College Guwahati , K.K. Handique Govt. 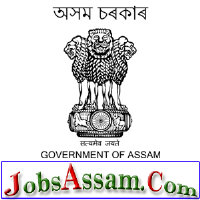 Sanskrit College Guwahati - 09 Post - Grade IV posts. » K.K. Handique Govt. Sanskrit College, Guwahati - 09 Post - Grade IV posts. K.K. Handique Govt. Sanskrit College, Guwahati - 09 Post - Grade IV posts. Age Limit : Age limit of the candidate as on 1.1.18 is to be 18 years to 43 years and upto 5 years relaxation for reserved category. 3 "Sanskrit" subject shall be preferred upto HSLC Examination. The eligible candidate is to send their application on or before 31st December, 2017 addressing:-Principal, K. K. Handique Govt. Sanskrit College, Jalukbari, Guwahati-14. The interview for selection will be held on 7th January, 2018. No separate call letter will be send. Labels: K.K. Handique Govt. Sanskrit College Guwahati,K.K. Handique Govt. 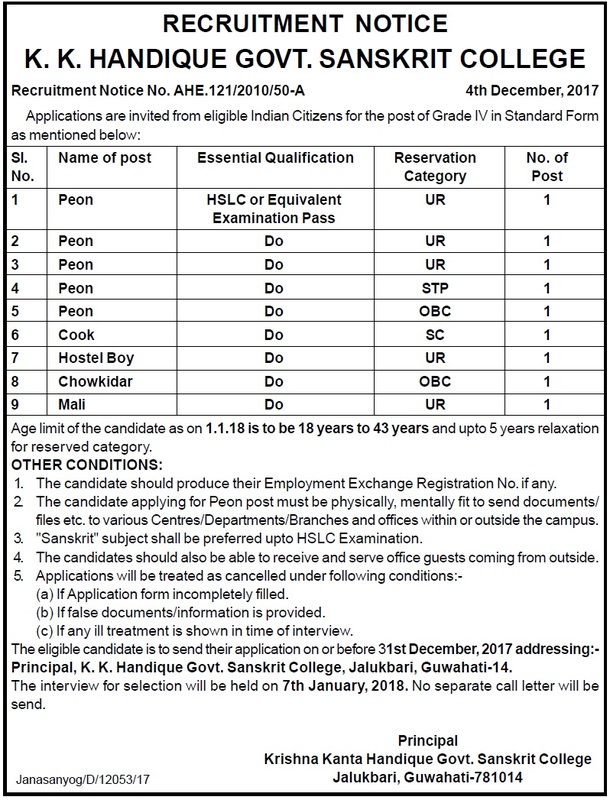 Sanskrit College Guwahati - 09 Post - Grade IV posts.